The Eden Project is a great place to visit at all times of the year, but comes alive at Christmas. 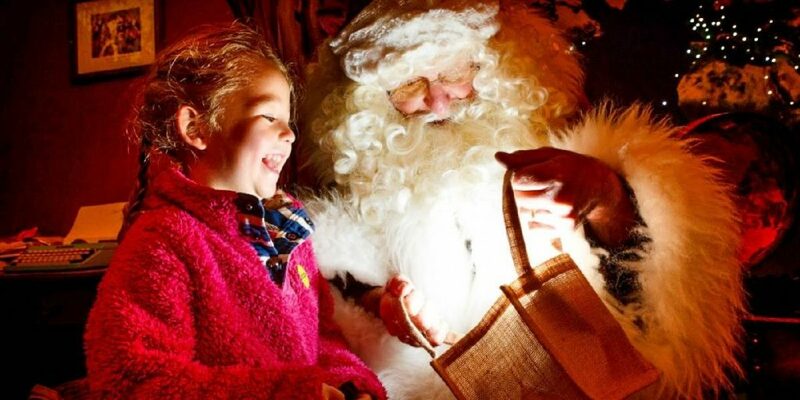 Meeting Father Christmas, listening to choirs and storytelling are often on the agenda at this time of year at Eden, click here for Christmas events this year. 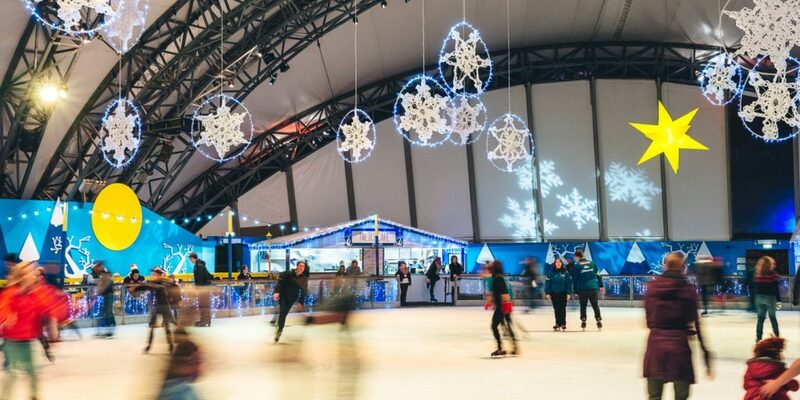 There is an ice rink throughout the winter months in the grounds as an extra activity to get you in the Christmas spirit. This normally requires booking before you arrive, for more details on this year’s schedule and tickets please click here. Eden isn’t just good at Christmas; at all times of year the old quarry is a great place for all kinds of events including evening meals in the biomes, story telling, charity events, marathons and gardening courses, click here for more information. Its warm biomes and extensive list of things to explore make it the perfect attraction whatever the weather. Eden often has food stands in the biomes offering warming food whilst you walk around the tropical plants, there are also other cafes around the site too. The other main attraction at Eden is Hangloose Adventure, they provide outdoor activities year round for all ages and abilities. Booking is required please follow this link.